A big thanks to our GEM volunteers! Last Saturday our garden-based, job-training program, GEM hosted a community volunteer day to harvest the summer produce and get the beds ready for fall. Our GEM Trainees led the day, teaching volunteers how to sow seeds, plant veggies and harvest produce. 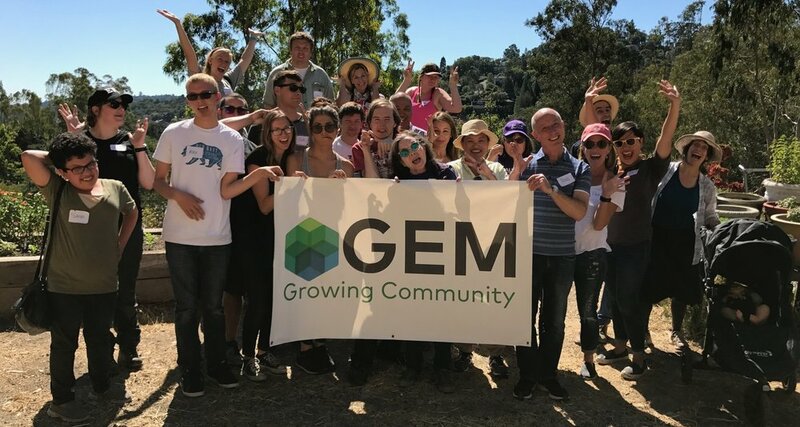 Trainees work at GEM for 3-6 months, learning business management, community outreach and horticulture skills. We really appreciate the hard work of our volunteers and GEM Trainees! Darene teaching a group how to plant cauliflower and salad greens. Sarah leading a group in potting up plants. Alex demonstrating how to harvest jalapenos. Jenny sowing bok choy seeds. Older PostPlease welcome our new Administrative Specialist!